One of the final bits of drama during Magic Johnson’s tenure as president of the Los Angeles Lakers involved the team nixing unauthorized surgery on Lonzo Ball’s ankle arranged by Ball’s former business partner Alan Foster, The Athletic reports. 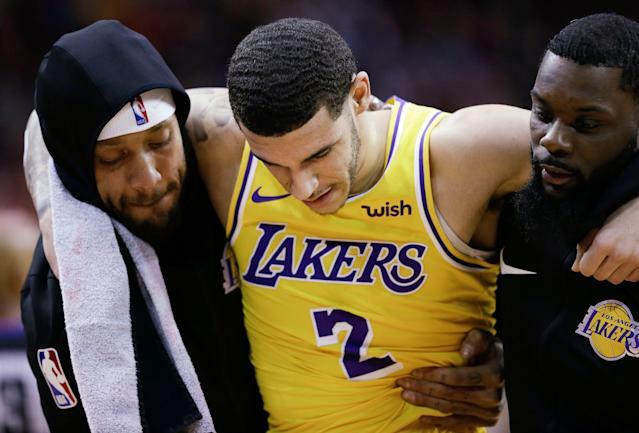 Ball, who sat most of the second half of the season with an ankle injury, was slated to have surgery without the Lakers’ knowledge, the report states. Ball reportedly traveled to Ohio in February to undergo a procedure on his injured left ankle at the urging of Foster, Ball’s former Big Baller Brand partner whom Ball fired when $1.5 million allegedly went missing from his personal and business accounts. The Lakers were reportedly unaware of the planned procedure that was to be performed by a doctor who had operated on Ball’s younger brother, LiAngelo Ball. When Ball contacted the team about the planned procedure, general manager Rob Pelinka warned him that following through would void his contract, according to the report. Ball then reportedly returned to Los Angeles via arrangements made by the team without having surgery. Ball’s father LaVar Ball was reportedly aware of the planned procedure. Johnson worked with Pelinka and Ball’s former agent Harrison Gaines to cancel the planned surgery and then accompanied Ball along with Pelinka to his subsequent doctors appointments to keep him on the team-guided recovery and rehab track. This wasn’t the first time Foster’s influence raised injury concerns around Ball for the Lakers. Ball wearing Big Baller Brand shoes prompted the Lakers to ask him if they contributed to his ankle issues. The Lakers medical staff was under scrutiny as a litany of injuries to key players plagued the team this season. LeBron James (groin) and Brandom Ingram (blood clot) were also among the prominent Lakers to miss significant time this season.